You are indeed stuck in the loop of waking up, working, sleeping and repeat. That has become a daily grind and possibly become quite tiring. You may not notice it during the early stages, but your body begins to cry for its needs. By the time you realize the urgency, it could be too late. Do understand that there is more to life than just work. So, how would you take care of yourself every day and meet the demands that your body may have? Well, these tips may prove to be helpful. Agreed, the lifestyle these days is full of unrest and a kind of grind that keeps your mind and body on the run throughout. This can, in fact, have serious consequences and in some extreme cases, these may go beyond control. Want to avoid such serious consequences? Follow a few of these tips to provide the rest that your mind and body need. Before you begin the grind for the day, take time off to meditate for a while. This will give your mind the fresh energy that it needs for the day ahead. Spare a few moments to be relaxed and to be grateful for the things that you have. This can help drive away distractions and negativity. Meditation gives a positive energy that your mind needs. In the harsh conditions that we work in, we don’t care for our body. A lunch session is finished off as if it were a chore. Having lunch at the restaurant may not always be healthy. Make sure you carry a pre-packed food from home for lunch. This will help you take care of your body with the nutrients that it needs. Also take your lunch away from your work and take time to enjoy it. If you feel your lunch pack lacks nutrients, you may consider nature’s own supplements. Professional life may be quite hectic. Sleep has innumerable benefits as science has already proved. Don’t deprive your body of the rest it needs. Sleep will help your mind have better decision-making abilities. If you rested well, your body can achieve great things with ease. Sleep is the best means of detoxifying your mind. 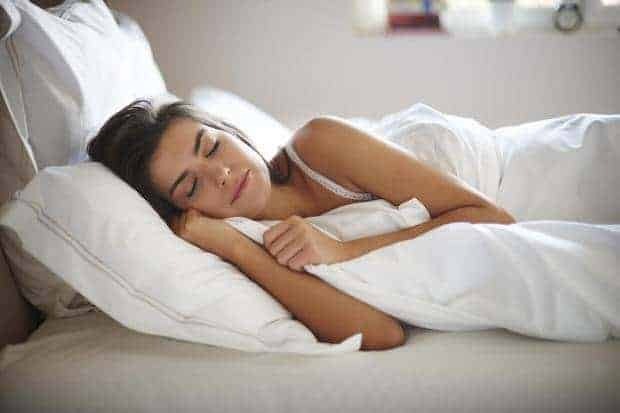 Akin to charging your phone, sleep rejuvenates you. Yes, working throughout the week is not something your body will want to. Set off times that you will not work. Give preference to YOU, not your work – at least once a week. Avoid taking work to your home. Make sure weekends are your own – not work related! Try taking a mini vacation if possible. Partake in activities that interest you. Joining the local NGOs or sports can be a good option. Avoid indulging in things technological first thing in the morning. Yes, we are talking about mobile phones. Most of us have the habit of checking out the phone the first thing in the morning. Leave the distraction away and prepare yourself for the day. Let the emails and communications wait for later attention. Have a healthy breakfast and get set for the day ahead. Diary can be a great stress buster. Ensure that you keep a journal at your bedside. You can share all your thoughts, emotions, or whatever that come to your mind. Make it a habit to pen down a couple of sentences or a few paragraphs before going to bed each night. And keep a physical diary, not an electronic option as this will help you unwind completely. Read magazines, preferably fictional. This will help you take yourself to another world. This is the right way to escape form the pressing concerns that you may throughout the day. Reading works as a relaxant and stimulates the right side of your brain. This should go a long way in promoting creative thinking process. Reading rejuvenates you if you prefer fictional content. The work stress has taken us away from social life. Do note that friends and family are your strength. Just pick up the phone and talk to a friend or someone who care for. Make sure you connect with someone whom you have not talked to in recent times. Avoid chatting on social media or similar technology-driven way. Pick the phone and call them, or better still – meet them personally. Well, those were a few tips that should help you stay in the better condition in terms of a better coordination between your mind and body. Do remember that if you want to get through the day, your mind and body have a great bearing on it. These are your assets and take care of them in the best possible way.